NOURISH THE GROWTH, THE THREE AGES OF LIFE The conference will address the issue of the growth of the person, including proper posture and healthy diet, treated for every stage of life from childhood to old age. “Nourish the growth, the three ages of life” is this the title of the event sponsored by EXPO in the city of Verona on 9 May 2015 at the Palazzo della Gran Guardia organized by the Association I.C.O.R.A. in collaboration with the University of Verona, the Hospital, the Municipality, the CIP of the Region Veneto and Confartigianato Verona. The main theme of the congress, where spokesmen will be expert doctors of all Italy, is the growth of the person, between correct posture and healthy nutrition, debated for each stage of life, from the childhood to old age. Part of the event will be dedicated to well-known sportsmen to tell their experience, type of training, how they optimized their target weight with the aim to achieve the maximum sports performance, without damage the regular rhythms and the organism balance. Maintain our body in trim is essential for improve the quality of life and preserve in time a correct postural control. During the growth of a person, from the childhood to old age, the nutrition aspect and the motoric activity are essentials requirements for a correct development of the human being. For this, is necessary to sensitise people in order that they paid more attention at these issues; as lead a regular and balanced life, both from the point of view of food and physical represent a fundamental strategy to influence the development, growth and the well-being of the person. Are now centuries that man is constantly looking for perfection, but, despite the science is constantly evolving, it is still evident the difficulty of applying and realize the maximum of our ancestors Latin: "Mens sana in corpore sano". In conjunction with the conference, the Education Department of Verona, with the intent to raise awareness among young people about proper nutrition, has launched a competition between secondary schools entitled "Feeding Growth", which deals with the realization a drawing, a movie and a song. The top three winners in each category will be awarded during the day. The event well in order to make people think about the importance of healthy diet also boasts of a beneficial nature. The proceeds will go to charity A.NA.VI. Associazione Nascere per Vivere Onlus which deals to undertake moral and social support to premature babies and their families, in collaboration with the medical team of the Paediatric Clinic of the Policlinico Giambattista Rossi of Verona, with the Centres for Disease and Neonatal Intensive Care and Paediatric. The event will start at 9.00 and will finish at 18.00, inside the loggia will be fit out a “village” where all the sponsors will set up theirs stands. The interview with the sportsmen will start at 14.00 inside the loggia. 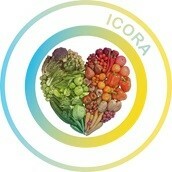 ICORA is a formative corporation specialized in the complete training in medical and paramedical area. It was born in 2012, in Padua. Since its foundation the activities organised by ICORA vary from ECM courses addressed to medical and paramedic careers, to improvement courses for people who want to complete their knowledge.